The Senate President, Dr. Abubakar Bukola Saraki has described the Senator representing Nasarawa West, Abdullahi Adamu, as a compulsive liar and an unreliable man. In a statement signed by his Special Adviser on Media and Publicity, Yusuph Olaniyonu, Saraki stated that: “I have deliberately ignored the antics of Senator Abdullahi Adamu, especially his constant media attack on me and the Senate since the Economic and Financial Crimes Commission (EFCC) dusted his file on alleged case of corruption and also went ahead to arraign his son in court. “However, I feel his latest statement in an interview with a national newspaper deserves a reaction from me. 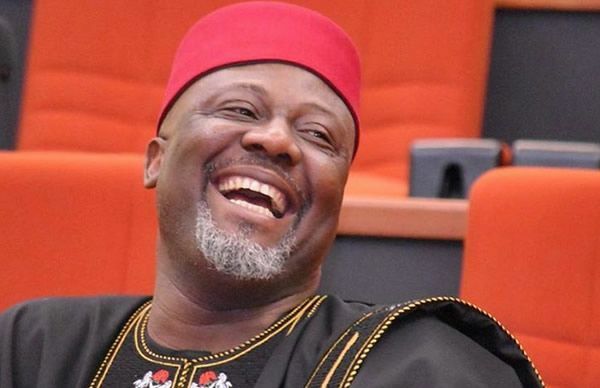 First, I could not have referred to my colleague, Senator Dino Melaye as a clown, knowing that from available records, Senator Melaye has so far outshined and has performed better than Senator Abdullahi in terms of the number of bills sponsored, motion raised and contributions to debate on the floor. Clearly, Adamu’s seven years cannot be compared to Senator Melaye’s three years. Senator Adamu is free to challenge this assertion by showing his records. “We know what he was saying about the President and his administration and what should happen in 2019 before then during discussions with our colleagues, particularly the former Governors in the Senate. I specifically recall some statements he made on the President and his administration during an official trip we made together to Morocco in March last year. At the appropriate time, we will give more details. “Well, since Senator Abdullahi Adamu became the attack dog of the executive in the Senate, using language unbecoming of a man of his age against me and other colleagues who he perceived he needs to disparage to reassure his handlers in the Presidency, I have realized that he simply deserves our sympathies. I am sure those he thinks he is working for know he is a man who is only useful for the present moment”, he stated.